In April this year, may be the most understand the Chinese Internet "crooked nuts" product manager Dan Grover wrote a long article, expressed in the text of the smart phone operating system disappointment, it can not scan two-dimensional code, the meter Can not be directly used to pay any of a small function, the operating system can only rely on one more and more bloated third-party applications, and finally drowned in the user's red red Points and less and less storage space. Near the end of the year, a smartphone maker seems to have heard the call Dan, they try to make the operating system as a service hub, rather than third-party application of the client; even In some scenarios, you'll feel like you're using an intelligent assistant, not just the "box" that stores various applications. This phone is the glory of the new glory Magic. Yesterday, the glory of the Shenzhen issued this is known as "smart biology" of the new mobile phone, from the demonstration effect, it does in some cases, such as when the title, and its concept, but also to a certain extent Showing the appearance of the next generation of mobile phones. Now, when you take out iPhone from the pocket, the gravity sensor can perceive this movement, the handset will automatically bright screen, demonstrated the time. 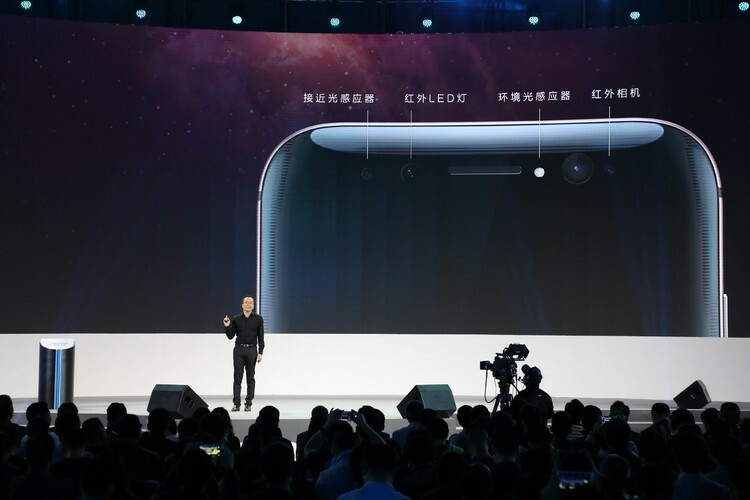 Glory Magic went one step further by adding an infrared camera to the front camera, which automatically brightens the screen as it senses the eye. A more useful feature is that when a new message alerts, the camera's perception system can quickly face recognition, only the owner can lock the screen to see the details of the message, the other is hidden message. At the system level to add more features, as well as intelligent identification, the glory Magic go farther, some practices even called radical. Zhang Xiaolong WeChat has been pushing the "collection" feature, and the glory of Magic has a system-level "My Favorites" (My Pocket) & rdquo ;. 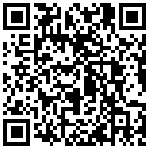 Users in any application of the article, music, video interface, from the bottom of the screen on the phone screen, there will be "Favorites" and "Sharing" button, click to system-level collection and sharing, all the information collection also You can login Huawei cloud synchronization account. Glory Magic also has a scene-based smart referral system. For example, when a user mentions a movie in a chat, the system automatically converts the information into a clickable link, and the information in the movie is displayed, and , You can directly purchase tickets. This semantic analysis also has more powerful features, if the user's friends in the chat, "where are you", the system will automatically identify, and then, the input method of the preferred word will become the user's current Location information; was asked to "weather" the same when so. The semantic recognition is system-level, that is, whether you are in the message, or WeChat third-party chat applications, can be achieved. Is it radical? In the contact identification, you can see the radical taste: If another person to send text messages to your own information, even if you do not store his phone number, the next time he called, the glory of Magic But also directly in the answer interface marked his information. In addition, the glory Magic also increased the Deep Think function, when users browse the news, web pages, and even chat page, long press Home button, the system will be based on the current page keywords for multi-dimensional information recommendation. In this scene, I press the Home button, the system identifies the "Bloodstain Gangsan Ridge", but the "Real Madrid Café Restaurant" and identified as Real Madrid. Glory Magic will even in some scenes "guess" the user needs information. Such as the glory Magic taxi, the lock screen interface will take the initiative to show the driver license plate information; and to the cinema, the phone will take the initiative to show tickets to set the ticket code; near the courier cabinet, the Magic automatically express the express code; At the airport, the departure boarding pass is displayed and the arrival baggage information is displayed. These features are mainly through and drops, Alipay, SF, Air China, such as vertical and horizontal cooperation to achieve. In the system-level semantic analysis, information recommendation, is bound to involve more privacy issues. Zhao Ming, president of glory, glory Magic's approach consists mainly of two aspects, first, the system requires user data to obtain user authorization; second, personal data localization. However, the localization process is more for third parties, the user's personal data will not be open to third parties, but of course, the information will go through the glory of the data center. This year is the glory of the third anniversary of the establishment of three years, the glory has been from Huawei's Internet phone experiment, has become an annual shipments of more than 40 million units of the important forces, The right to speak. However, this also shows that in addition to showing the function, the glory of Magic is far from a "omnipotent" mobile phone, it needs more third-party applications with. This may be an opportunity for more commercialization, but it may also limit Glory to more functional extensions. In addition to the optimization of the system, the glory of Magic in the hardware is also quite aggressive. It uses a 5.09-inch 2K AMOLED screen. In many flagship smartphone surface design, the glory Magic has come to the extreme, it uses the "eight design", that is, before and after the double-sided curved, making the phone a stronger sense of curvature, the thinnest side of the border 2.8 Mm. Magic also made innovations in the interaction, the phone front only retains the entity Home key (at the same time can be used for fingerprint identification), and even Android phone exhaled menu and return to the virtual key is also directly canceled. But it still retains these features, double-click the Home button can be multi-task switch, slide to the left or right, that is to return. On the camera, the glory Magic in the rear and front camera are using a dual lens; Huawei's latest fast charge technology is also the first application to the glory Magic, the official nominal, 30 minutes to charge 90%. Honor President Zhao said, Magic does not belong to any series of glory, it is not a new generation of flagship, there will be second-generation products also completely see the market acceptance. For many people concerned about the issue of stocking, he has always been reluctant to disclose any information. In the price, Magic is not the glory of the series style, came directly to the 3699 yuan (4G +64 G). Therefore, the glory of Magic is not a mass production of the concept of mobile phones, and millet Mix, it is both Hyun technology, but also to explore the next generation of mobile phones. A few months ago, Huawei launched a new flagship Mate 9, and played the "machine learning" concept, the phone will record the user's habits, automatically determine the user's next action, to optimize mobile phone performance. The purpose is to let the phone "faster and faster". And the glory of Magic to make the phone more intelligent to go further. However, the glory of the Magic's recommendation system will not be transplanted to the glory of other mobile phones, and even Huawei mobile phone problems, President of the glory of Zhao said, the same should be based on user acceptance to decide. However, such a search for the glory, the courage to call it commendable. 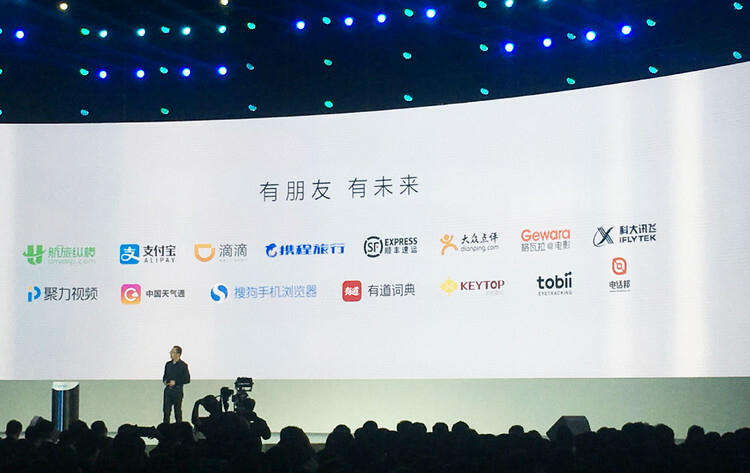 According to Zhao Ming introduced in 2017, the glory will be further separated and Huawei, not only in the brand, including online and offline channels will be separated. In 2017, the glory will begin to explore the next line under the channel.